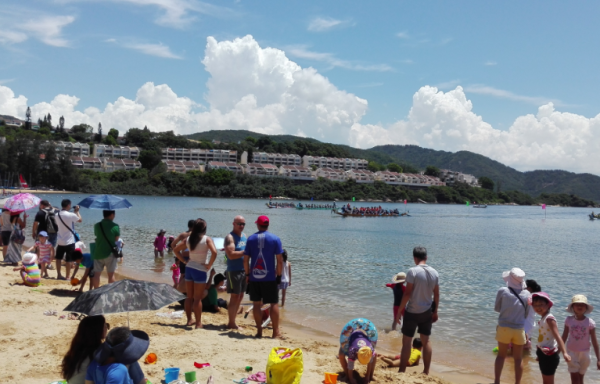 A day before our flight back to Manila, we were able to catch the annual Dragonboat Race at the Tai Pak Beach, at the exclusive Hong Kong enclave of Discovery Bay. Discovery Bay residents, corporate professionals and race clubs formed 48 teams to compete in various races — about 8 races with 6 dragonboat teams each race. 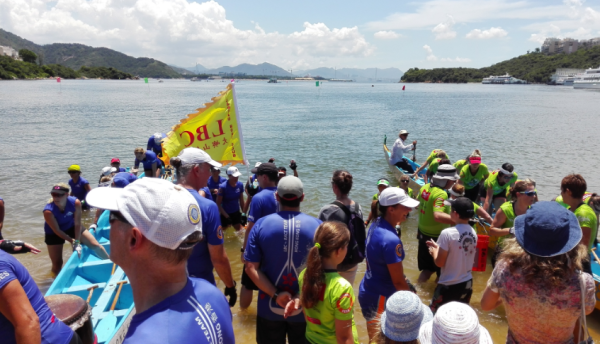 Each race had 15-minute intervals, with the top winners per race competing for the finals. It was a hot day so I wasn’t able to actually see who eventually won. But as predicted, the team from Disneyland Hong Kong, composed of Filipino performers and employees of the entertainment resort got the top prize. Reports have it that the Filipinos were well-funded by Disneyland and trained very hard. 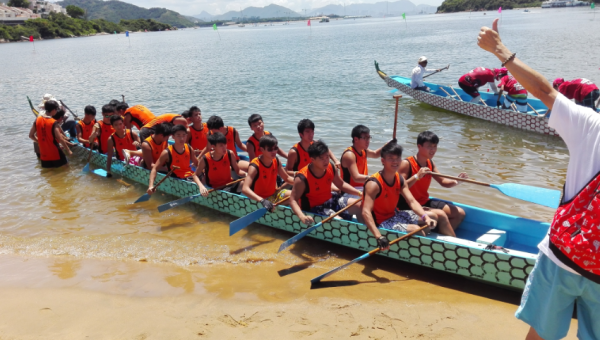 One of the teams preparing to board. The eventual winner of one of the preliminary races. Next time, I’d probably stay longer to enjoy the other fun activities throughout the day such as the fabulous cheerleading performance by Hong Kong Disneyland and spectacular on-stage performances at the beach.